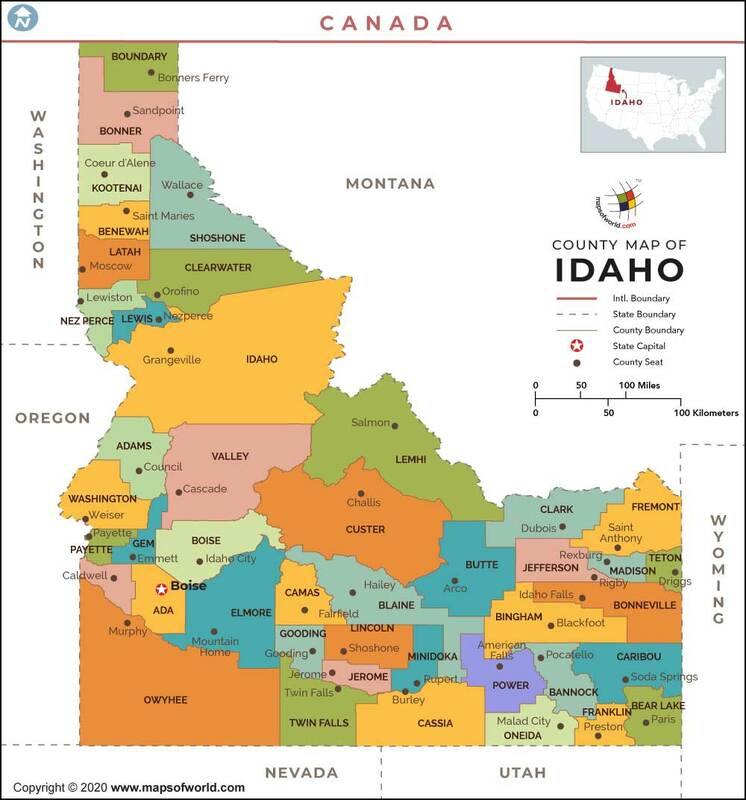 Description : Idaho County Map displays all the counties are in the Idaho state. Idaho, the 43rd state of the United States, is a big state in the northwestern part of the country. The capital of this landlocked state is Boise, which is also the biggest city of the state. The state is made up of 44 counties, which function as its administrative divisions. All the 44 counties in Idaho symbolize a powerful podium of governance at regional levels. Details about the situation of the counties are available from the Idaho state map as well.